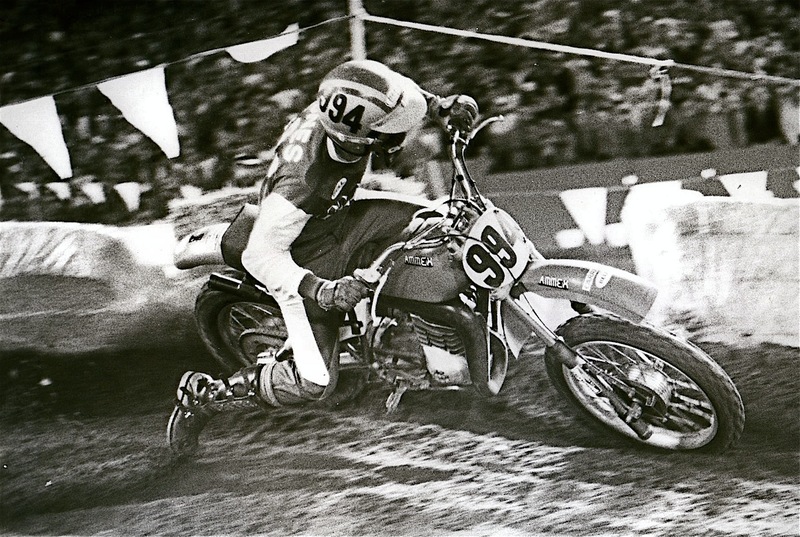 Gary Jones won four consecutive 250 National Championships while racing for Yamaha, Honda and Can-Am. When he suffered a leg injury at Daytona and Can-Am bought out his contract, Gary and his dad Don took $70,000 and started their own motorcycle company. To this day, Jones remains the only AMA professional motorcycle racer to invest his money into designing and building his own motorcycle instead of big houses and yachts. 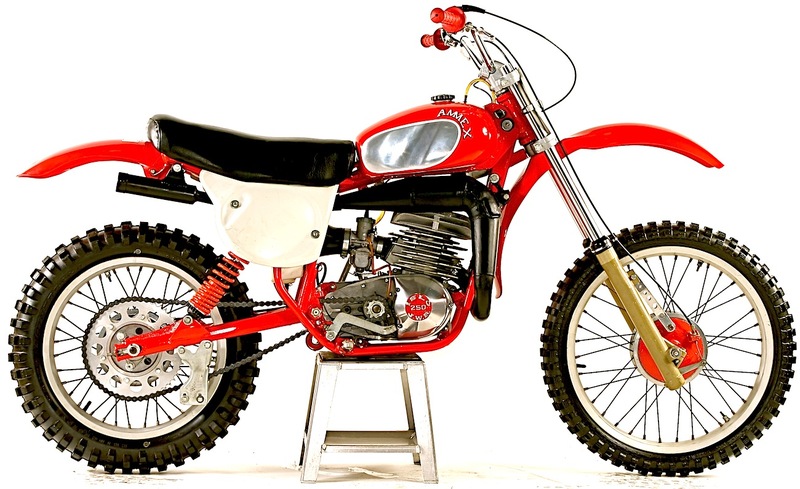 It was not an easy task, but at the time (1975), Cooper Motorcycles was going out of business, and the Jones family bought the Mexican-based company and used the Frank Cooper-designed enduro bike as a prototype for the first Jones-Islo (the name would later be changed to Ammex, which stood for American-Mexican). Under Mexican law, 68 percent of the Ammex had to be manufactured in Mexico, so the pieces that would be out-sourced included Sun rims, Diamond chain, Mikuni carbs and ART pistons. To ensure that the Mexicans didn’t use pot metal in the castings and frame, Jones shipped American-made chromoly and aluminum to the Saltillo, Mexico, Moto-Islo factory, to be melted down. The Mexican metallurgy was always suspect, especially in the crankshaft and transmission. 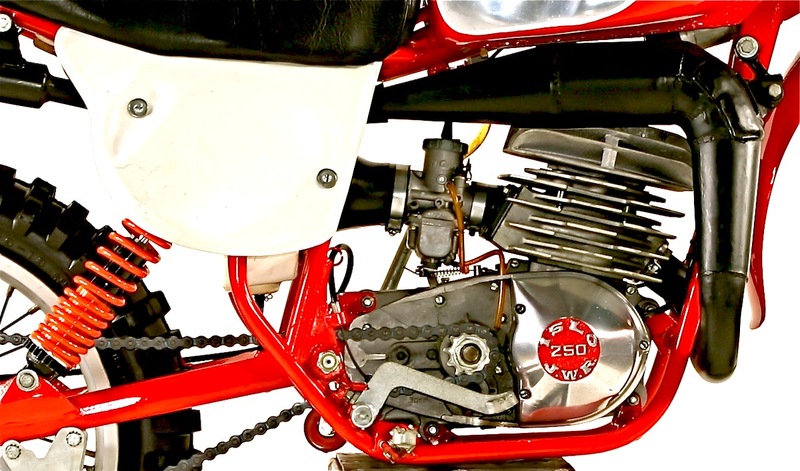 The Ammex borrowed its plate-style shift system from Maico, the dual-use kickstarter/shift shaft from CZ and a Yamaha YZ250 top-end could be slipped right onto the Ammex cases.Ammex had high hopes and a couple years of success, but unfortunately the Mexican peso was devalued — dropping from 12 pesos to the dollar to 120 pesos in less than a week. Since Ammex was a Mexican company, it was worth one-tenth of what it was the week before. Gary Jones lost his money and his dream of building his own motorcycle. Production dribbled on for a few years, but after the devaluation, the company was doomed. Good versions are incredibly hard to find. Prices start at $3000 for an intact core bike to $10,000 for a well restored perfect example. A total of 5000 bikes were built, but only 1500 came to the USA. There were 200 sent to Canada, 85 to Australia, 25 to New Zealand and 20 to England. The rest went to Mexico and Cuba. Finding an Ammex with Fox Airshox and an aluminum swingarm is a coup. Original bikes have Jones V-shaped bars. There is no reputable source of Ammex parts.